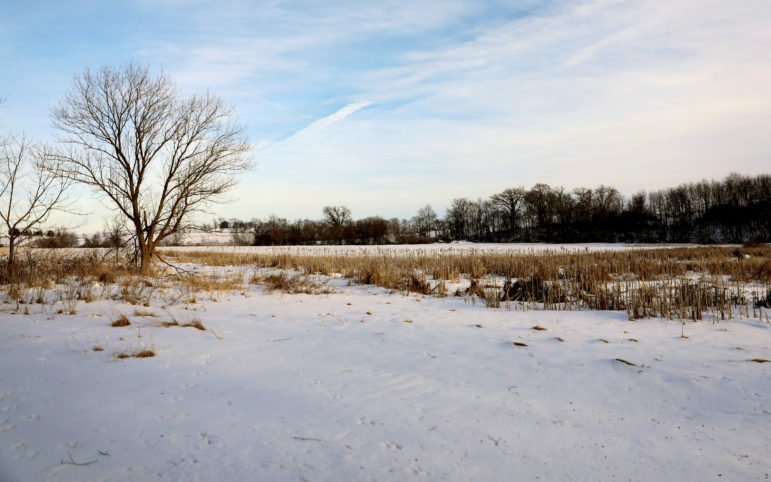 "When you look out here, you see pond and prairie and woods and tracks of animals all around. We have so many birds, and we have owls," she said. "This is the best place to watch stars ever because there’s no light out here," she said. "Now we’ll have … flashing lights." Blanc was referring to a plan for 24 wind turbines, nearly 500 feet tall, including one tower she said would be 1,500 feet from the couple’s home in the town of Jefferson near the Illinois border in Green County. Blanc learned about plans for the wind project in October when EDF Renewables, the American subsidiary of a French company, sent her a notice in the mail. "This is the exciting life of a wind warrior," Blanc said laughing. "But mostly I just sit around and like, write emails." "What’s the irony of it getting knocked over by the wind?" asked Blanc. "Who is going to want to buy it living in the shadow of giant, industrial wind?" she asked, raising a question that studies have failed to conclusively answer, as some find a decline in value and others do not. "We’re working musicians. We have no pension. We have no retirement. So this 5 acres and this janky old farm house, is like, it," she said. "This is what we’ve worked for our entire lives." 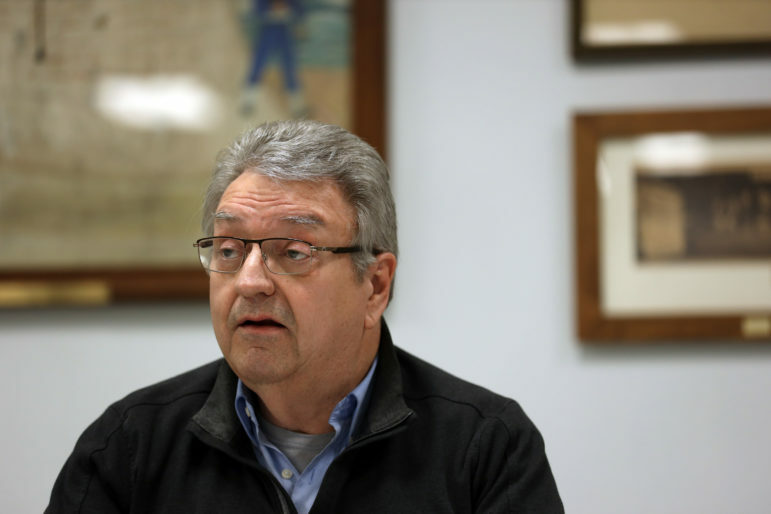 One of the three Jefferson Town Board members plans to lease some of his land to the wind company. A member of the town planning board also has a lease. The two recused themselves from decisions about the project. But Blanc believes that did not go far enough. 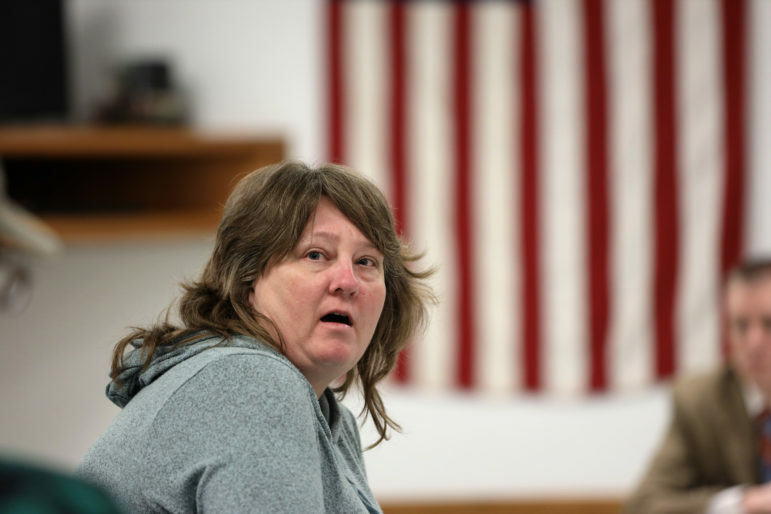 "I think that the township board members should have resigned," she said. 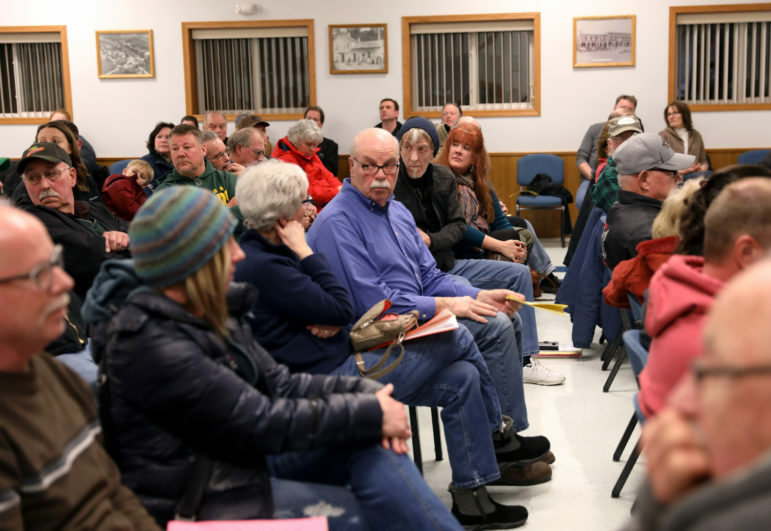 "While we appreciate that the ordinance states that the Town Board may not impose any restriction that is more stringent than (the law) … certain provisions of the Plan Commission’s suggested modifications appear to do just that," EDF attorney Christa Westerberg said in a Feb. 27 letter to Bartholf obtained under the state public records law. The World Health Organization has identified sound from wind turbines as a health risk, although it acknowledged that "very little evidence is available about the adverse health effects of continuous exposure to wind turbine noise." In January, an expert panel reviewed scientific studies for the nonprofit Iowa Environmental Council, a coalition of environmental groups, finding that "researchers who evaluate public health hazards continue to find little scientific evidence to support claims of health problems caused by wind turbines." "We don’t want them. End of story." Don Amacher spoke of Brown County where the Board of Health determined there was evidence of negative health effects from a local wind project. 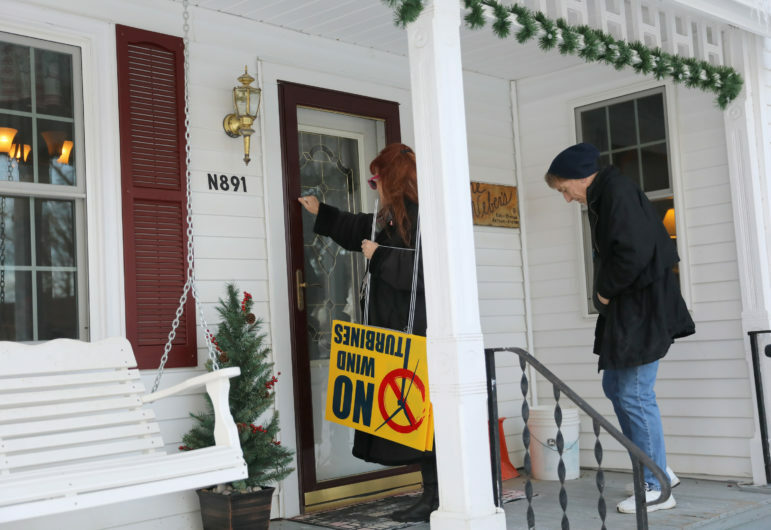 Later, in 2015, the county’s health director reversed course, saying she could not establish a link between the residents’ complaints and the turbines. "This health concern from these turbines is real," Amacher said. "There are some people that cannot even live in their homes anymore." "If this was such a great health concern," she said, turning from the front row to look back at the rest of the audience, "why didn’t the hospitals … come and tell everybody that it was a health concern? They say there is no evidence of health concerns." Bahr lives near a wind farm. The closest turbine is about three-fourths of a mile from his property. He can hear a whistle and a "whooshing" sound from the blades. What is worse, Bahr believes it is giving him headaches. "I was wondering why I was getting a headache," he said in an interview at his farm. "And it wasn't dawning on me until I came in the house and I ate dinner and my headache went away. When I went back outside to work again, within an hour, my headache was back. So then it dawned on me that there was a different sound, a lull, humming type sound that was coming when the wind comes out of the south." But the Wisconsin Department of Health Services says there are no known health effects from wind turbines. EDF Development Director PJ Saliterman said in an interview that allegations of negative health effects are a "myth." Vickerman of Renew Wisconsin believes neighbors who are not offered turbine leases or "good neighbor" contracts object to them because they are jealous — or they fear change. "All it takes is one individual who really doesn’t like wind power to generate the level of controversy that spreads and results in a division within the host community," he said. 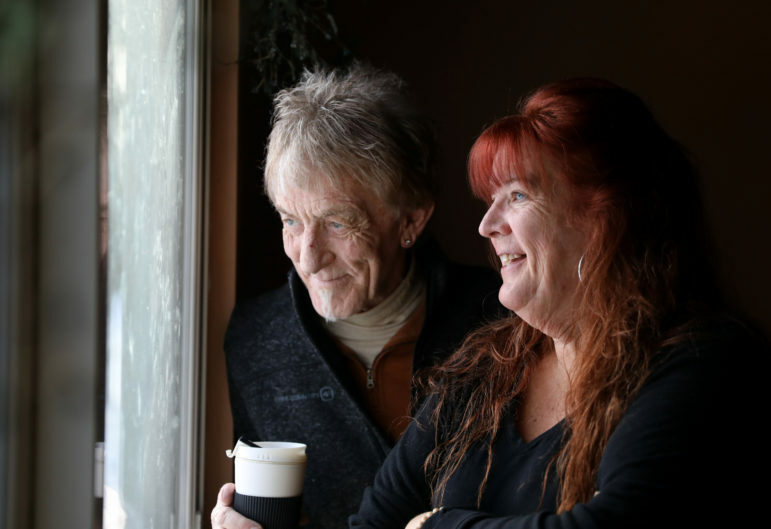 It came as a surprise to Jim Bauman that his brother and neighbor, Brian Bauman, signed a lease to place a wind turbine and power station on his property in Juda. That decision has put a crack in the bonds of an otherwise close family. 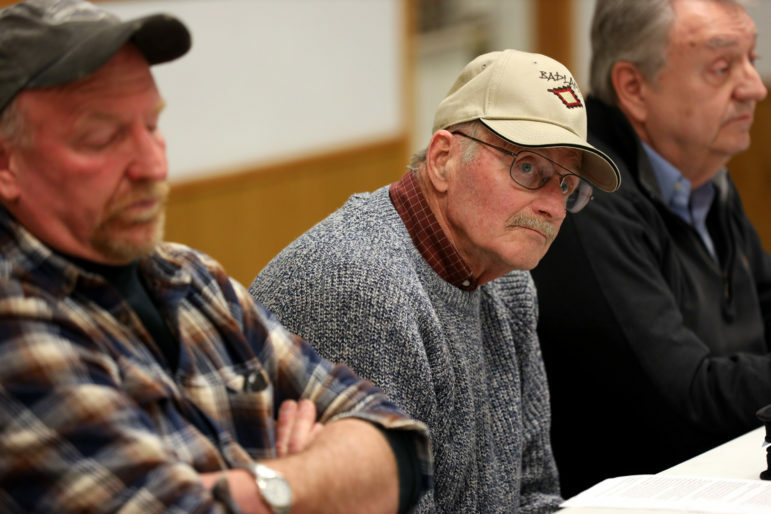 "We are an agricultural community, we like our landscapes the way they are," Jim Bauman said. "This will make us an industrial community." Dan Kundert said he tries to "picture four of them looming over you." 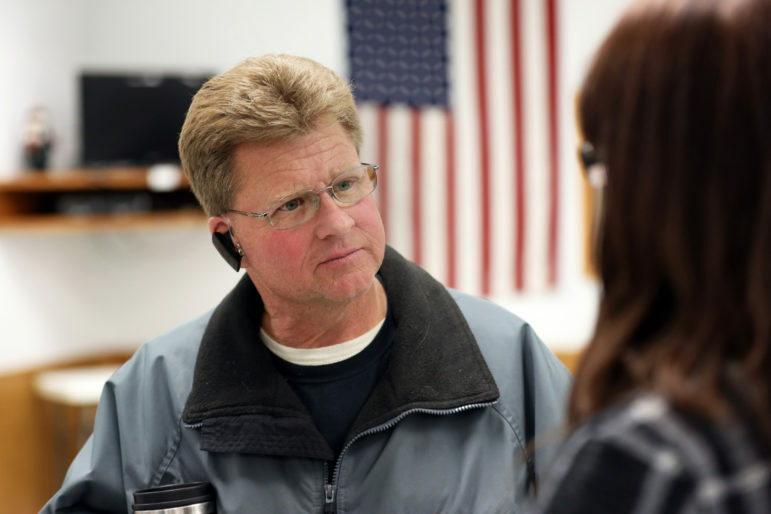 "I’m tired of waking up with a knot in my stomach going through ranges of emotions," Dan Kundert said. "Neighbors should not do this to neighbors, and above all, family should not do this to family." "I really don’t want to listen to a machine that’s whining or making noises continuously," Jim Bauman said. "We’ve always been together. We spend holidays, Christmas together … He chose money over family," she said. "He chose money over our quality of life." Jim Bauman. Coburn Dukehart/Wisconsin Center for Investigative Journalism. 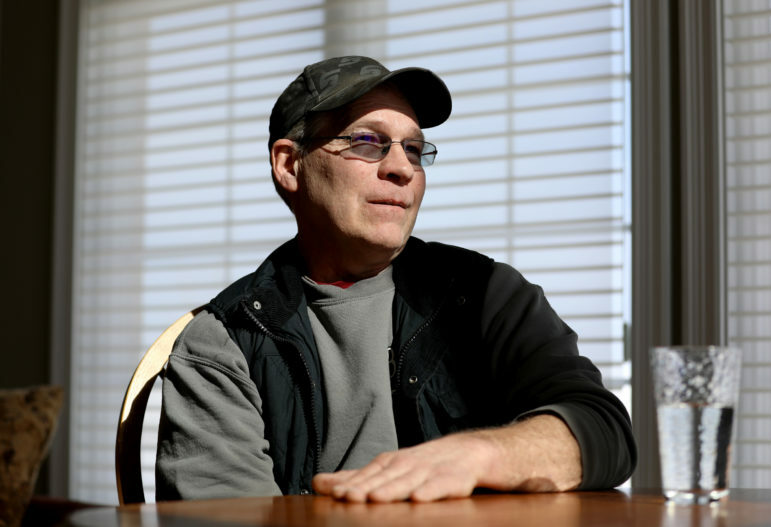 "A lot of things went on behind our back, and we were left in dark," Dan Kundert said. "People say, 'Well, what is it that you’re going to do?' and if we don’t have a plan, then there’s an information vacuum that other people will fill," he said. "So what we did is we took our time and met with landowners and put together a pretty close representation of what the project was going to look like." There are many local projects that people have strong feelings about, Wiegel said, adding, "It is hard to notify everybody of everything." "A local public official may not take official action substantially affecting a matter in which the official, the official's family, or associated organization has a substantial financial interest," the commission says. Lisa Linowes, executive director of the WindAction Group, a national group dedicated to "balance the debate" — often by raising concerns about the wind industry — said ethical issues do not appear to be as prevalent as they were a decade ago. But she still hears from people who suspect backroom dealing. 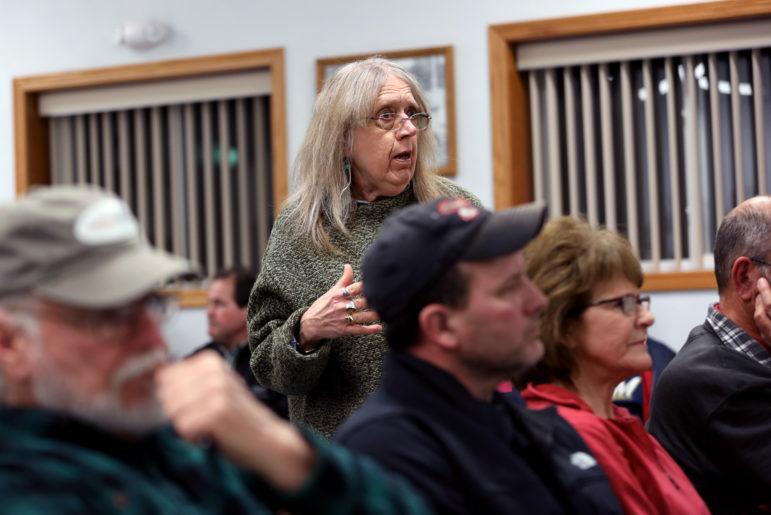 "By the time you get to speak to the county or the township officials, they’re already sold (on the idea)," Linowes said, adding she believes many officials do have the best interests of the community at heart. "The people sitting on the commission or these boards need to be sensitive to the fear people have that they are being sold out," Linowes said. "If these commissioners are more sensitive to that worry, they will be much more public and transparent about what’s happening." Mandel dismissed the suggestion of any unethical practices in the town’s handling of the wind project. He said it was "too bad" that critics have maligned the officials with leases, adding, "They’re good people." "Whenever a decision maker or local official has a conflict of interest under Wisconsin law, it’s our expectation the rules will be followed, and they would take whatever steps are appropriate," Saliterman said. "Each project we develop is a calling card for our next project," he said. "As you know, bad news travels much faster than good, and if we were messing up in other communities, you would hear about it." "I just can’t stand to sit back and watch an opportunity pass us by," Tim Bender said, adding he thinks there are more supporters of the project but they are intimidated by the opposition. Linda Bender said it is a modest amount of money. "It ain’t gonna get me out of debt," she joked. "Why not benefit from clean, free wind?" he asked. "We have maybe three days out of the year when we don’t have wind. Why shouldn’t we benefit from it?"